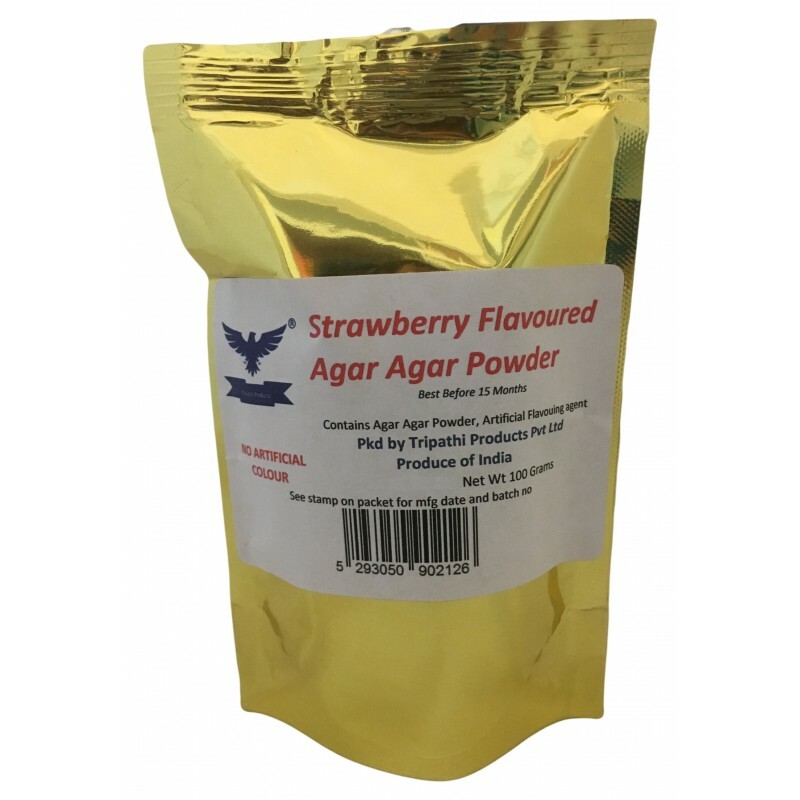 Strawberry flavored Agar Agar Powder Premium Quality 100 grams Agar Agar/Kanteen Grass/China grass Powder to make jellies, candies etc.. This Agar Agar/kanteen Grass/China grass Powder are packed with 100 grams weight. They can be used in Jellies, cakes, desserts and smoothies. This is vegetarian product. Contains no added colour Content The pack contains 100 grams of Strawberry flavoured Agar Agar/kanteen Grass/China grass Powder Payment Details We accept payment through PayUmoney. Generally all popular debit/credit cards, net banking wallets are accept Shipping Details We ship an.. Premium Quality 100 grams Agar Agar/Kanteen Grass/China grass Powder to make jellies, candies etc.. This Agar Agar/kanteen Grass/China grass Powder are packed with 100 grams weight. They can be used in Jellies, cakes, desserts and smoothies.